tl;dr - SkinForum's Lavender Botanical Fuse mask hydrated and calmed my dry, irritated skin during the cold winter season. Use the promo code "thejenproject15" at theskinforum.com to get 15% off any purchase*! Got resolutions for 2018? I'm still poring over what my 2018 vision looks like, but daily sheet masking is definitely in there - it's the best way to keep my skin hydrated, and it just feels good. 20 minutes of "me" time is never a bad thing, right? 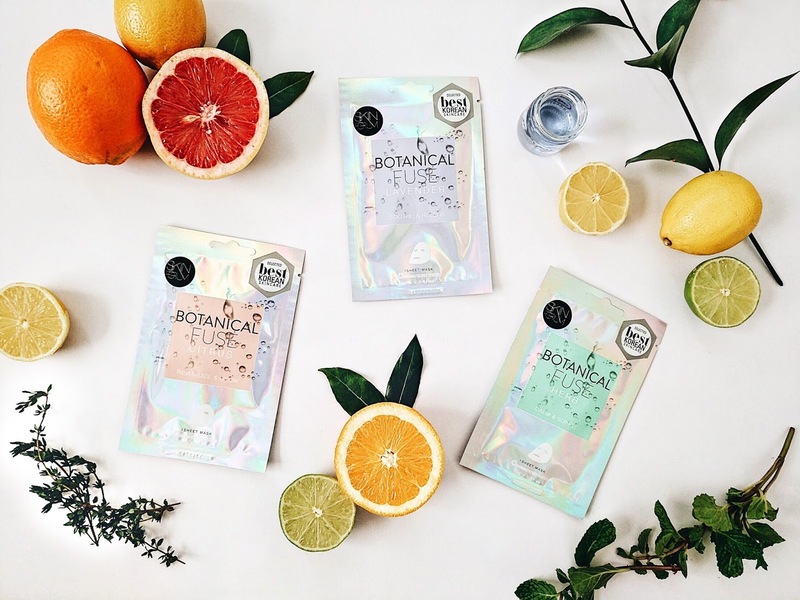 I love the convenience of being able to put fruits and herbs on my face instantly through a sheet mask (no washing or chopping needed) - reminds me of when my mom placed sliced cucumbers on my face when I was a kid after swim meets. With the days getting colder and drier, I needed something to moisturize and soothe my dry, flaky, and somehow still acne-prone skin. Y'all know how it is when you've got combination skin. I'd also just gotten some raised dark spots lasered off at the dermatologist, which made my skin more sensitive and sore. So I immediately gravitated toward the lavender-scented variety of this sheet mask. It's touted as a "blanket for the skin" which sounded perfect to relieve my irritation! In addition to lavender, the mask contains chamomile, aloe, rosemary, and raspberry extracts for maximal relaxation. 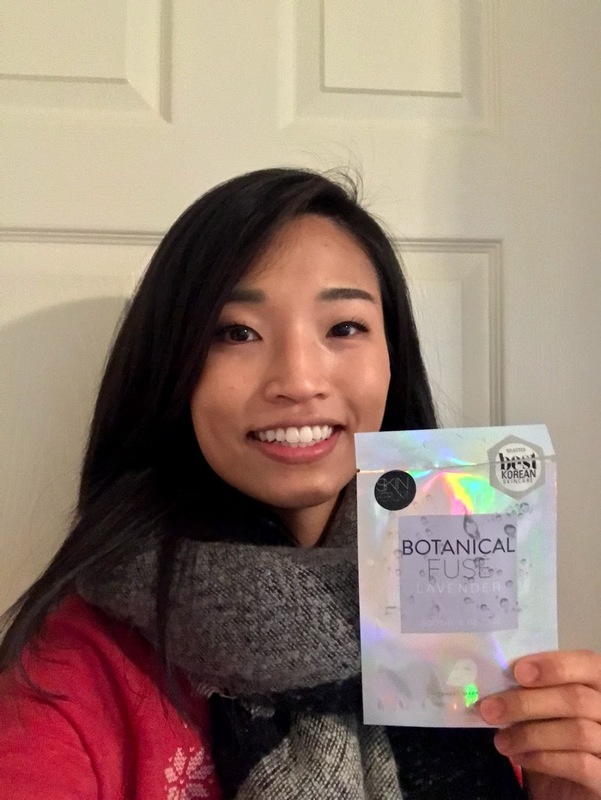 After using the lavender sheet mask, my irritated skin felt calmer, and I finally had no flakiness or oiliness (a miracle during these winter months!). What's an even bigger miracle is that I didn't even apply moisturizer before going to bed, but the sheet mask appears to have moisturized it enough. Plus I loved the experience of wearing a tingly, fragrant mask - clearly, I loved it so much that I fell asleep in it. The only downside is the inclusion of castor oil, which is likely not an issue for normal skin types, but I was worried because I'm so acne-prone. Haven't gotten any zits yet, so I'm guessing the castor oil was only present in minute quantities. 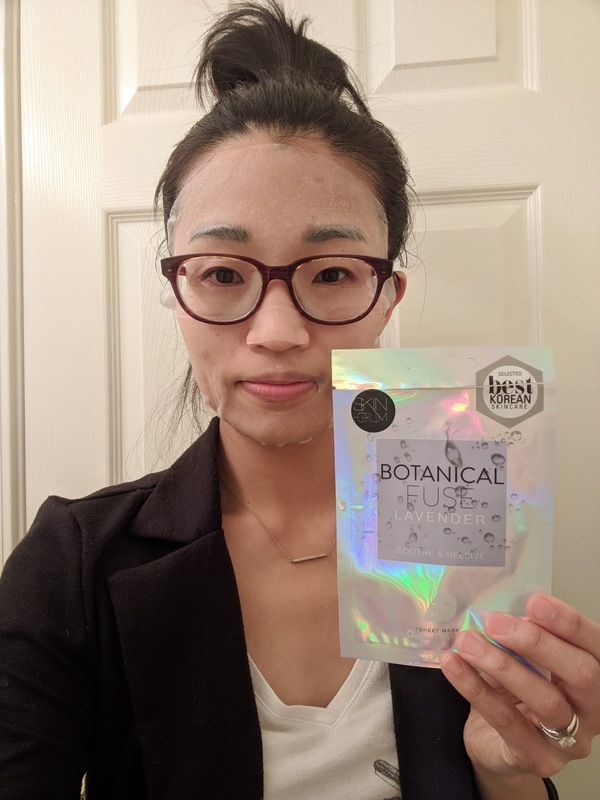 And I don't know if it's because it's the holidays, but I definitely felt like I had a glow after trying this lavender mask - see my unfiltered during-and-after sheet mask selfies below. I can't wait to indulge with the other masks in this line! I've got citrus, herb, charcoal, and oxygen bubble left to try - stay tuned on my Instagram where I'll post reviews of the others. You can use the promo code "thejenproject15" at theskinforum.com to try these masks (or any of their others!) for 15% off*. 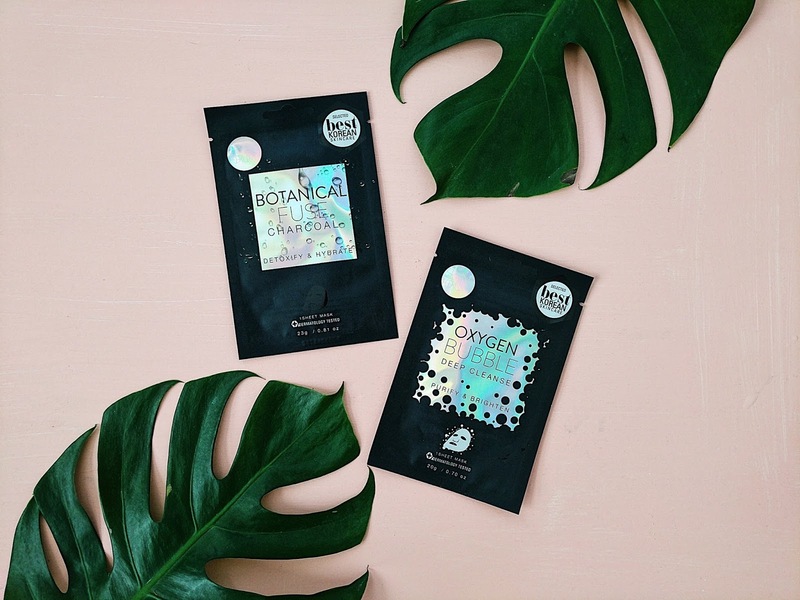 Which sheet mask are you most excited to try in 2018? 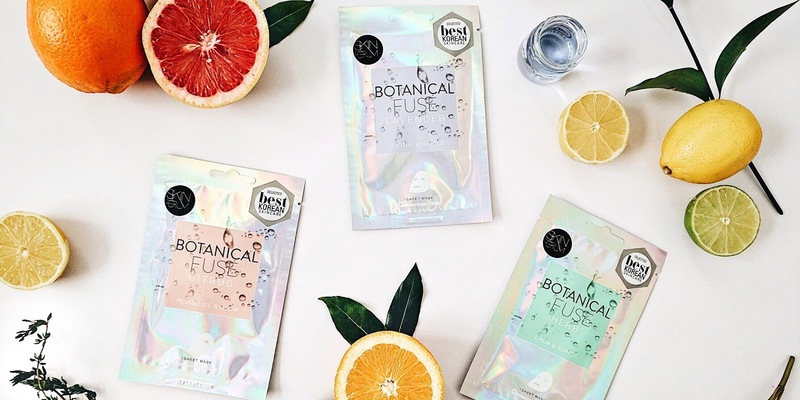 5 comments on "Skincare resolutions: SkinForum's Botanical Fuse Sheet Masks"
I can’t believe your sheet was still damp in the morning even after falling off, all of mine are usually dry/almost crunchy if they come off overnight. That’s good stuff! 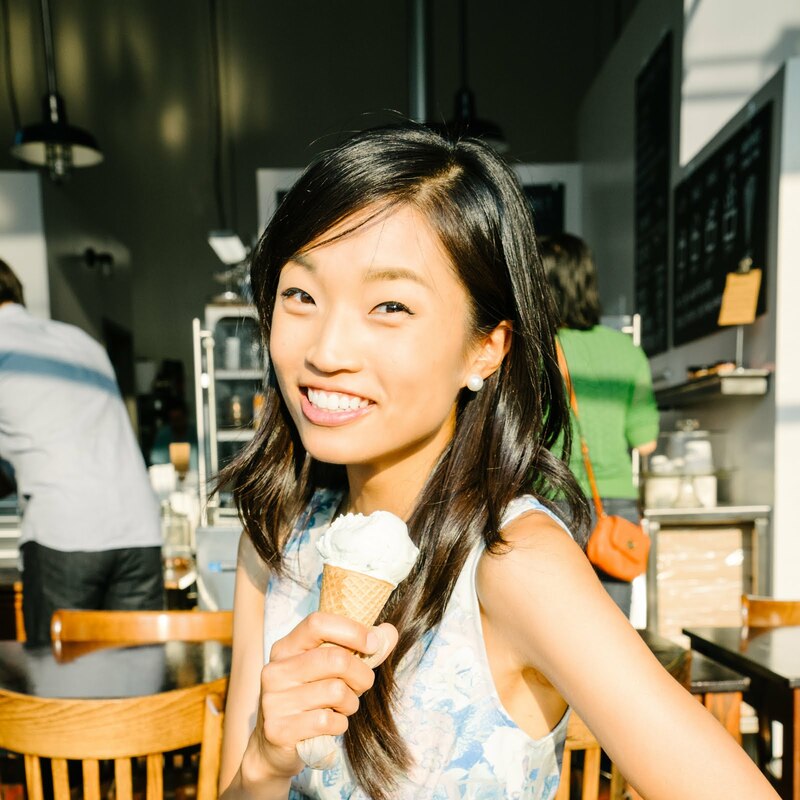 Also, your photos are stunning, thanks for sharing with us! Oooh I am ALWAYS looking for a good face mask. Especially after having a baby this year my hormones made my face go crazy and also it just feels like such a little self care/treat yourself thing! I've been looking for sheet mask in the last couple of months. I will have to check these out soon. I defiantly need to check out Charcoal and Citrus.